The United States Securities and Exchange Commission is responsible for regulating financial markets in the U.S. They have authority over new ICOs when there are investment products sold to consumers in the U.S. While it is achievable to come up with an ICO that is lawful in America, the United States Securities and Exchange Commission adheres to a set of laws called the Howey Test to see if the ICO is tradable or not. ICOs which don’t pass this test are put through similar rules as public stocks, and they should be registered and comply with stringent securities regulation. The logistic and financial liabilities of making a compliant, openly-traded security are high for many companies, not to mention startups on the blockchain. So if you intend to launch an ICO that is available to the U.S. consumers, it should definitely pass this test. Laws in the EU also closely mimic the Howey Test’s rules. Regulators have started to consider cryptocurrencies because of the latest increase in Ethereum-based ICOs. Securities commissions are at the forefront to protect consumers from fraudulent or risky investments. As ICO lawyers from IBC Group notice, the recent surge in ICOs has also led to a surge in financial fraud schemes where the tokens don’t have any inherent value. Regulators are worried about fraudulent activity of ICO. Oftentimes, it is not easy evaluating the legitimacy of a token or carrying out an ICO’s audit. For this reason, the United States Securities and Exchange Commission issued guidelines to consumers considering investing in ICOs; however, ICO creators have not been issued with guidelines concerning how to stay compliant, beyond the recommendation to seek the advice of a lawyer. Without the presence of ICO-specific rules, the United States Securities and Exchange Commission has turned to classifying ICOs into two basic groups: security and not a security. Securities are openly traded investment opportunities. In America, you can create a security through lighter-weight regulations called Regulations A+, S, D, or Crowdfunding or through an Initial Public Offering of a company’s stock. Once you become a member of the United States Securities and Exchange Commission, securities are subject to Know Your Customer rules, anti-money laundering laws, and audits, complicating the steps involved in creating and administering an ICO. But over the past year, many ICOs have strived to avoid classification as a security to decrease regulatory problems. 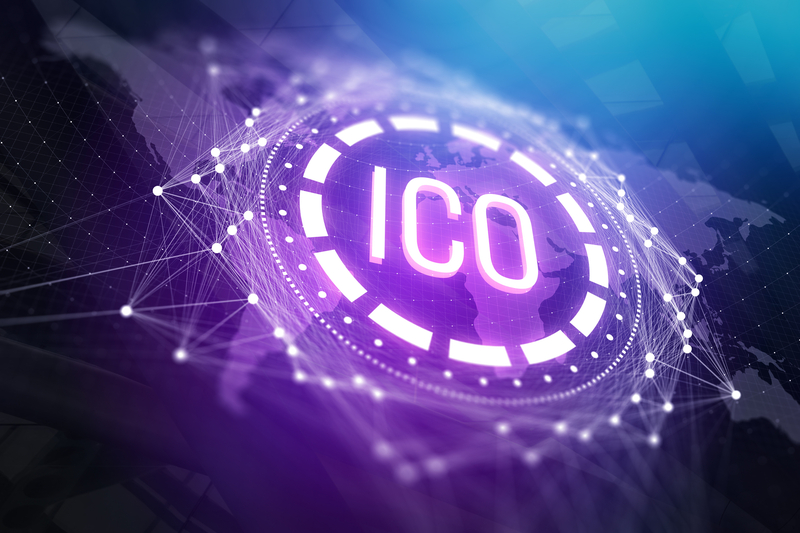 ICOs seeking to avoid regulatory challenges usually highlight the usefulness of the token they are issuing as a type of currency on a new software platform. In such a case, they aim to offer the token a clear value, practically as if the consumer were buying a license or gift card to use the future platform. The ICOs are using another option of structuring the ICO as a contribution initiative to an NGO to avoid securities regulations. Donations to the ICO are therefore regarded as contributions, not acquisitions of a tradable security. While these two strategies might make sense for some ICOs, they are not reliable to prevent the classification of security. The Howey Test offers a clearer blueprint for what makes up a security. What’s the Howey Test and how does it work for ICOs? This test originates from a United States Supreme Court case called SEC vs. Howey Co. that took place in 1946. This is where the Supreme Court developed an easy test for finding out if a transaction is regarded as an “investment contract” and is therefore subject to securities regulations and laws. Over 70 years later, the Howey Test is still the norm by which new financial instruments are judged in the U.S., which include today’s ICOs. When it comes to ICOs, the second point means the most. If you are promoting your ICO with the intention to generate income, then you’re promoting a security, as per the United States Securities and Exchange Commission. If, alternatively, you are promoting your new tokens as a pre-order of an upcoming product without future ROI, then you are probably in the clear with regulatory compliance. Instead of dealing with the doubt of whether an ICO will pass the test, most new organizations prefer to do without the United States investment altogether. Almost every major sale of a token in the last 6 months has excluded the United States investors. If American citizens want to buy a token, they need to wait until it’s listed on public stock markets. The exemption to this regulation is authorized investors in the U.S. who the United States Securities and Exchange Commission has authorized to engage in speculative investments. Otherwise, stringent KYC practices usually leave out U.S. investors and keep new ICOs beyond reach of the United States Securities and Exchange Commission. The tips for establishing a compliant ICO which adheres to this test are pretty straightforward. First, ensure that token buyers don’t anticipate to profit. They also shouldn’t say no publicly prior to the start of the launch. Second, state clearly that your token comes with a specific use or purpose. Customers must know what they are getting in return for their investment. Otherwise, you can do without the United States Securities and Exchange Commission completely by excluding American investors from your token sale. Consensys, Coin Center, Coinbase, and Union Square Ventures have introduced a free report on securities regulation for ICOs. The report gives outstanding guidelines for best practices before, during, and after the sale of your token to evade getting your ICO categorized as a security.